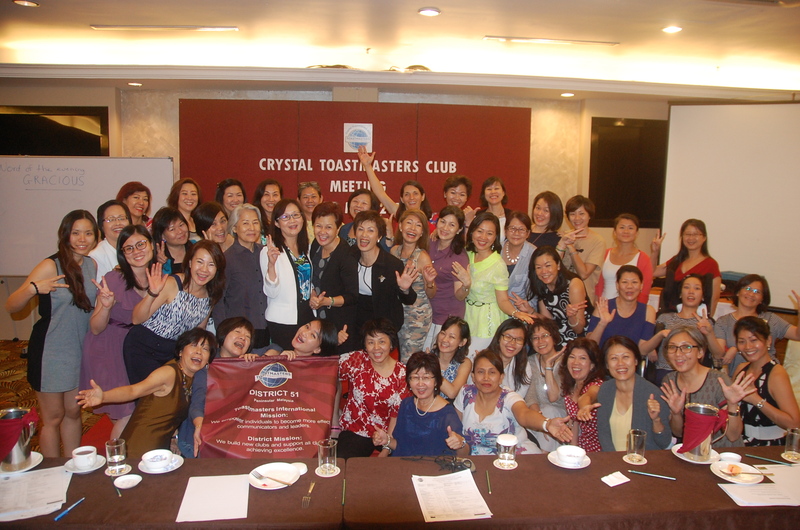 The Crystal Toastmasters monthly meeting in May 2016 had an extraordinarily large crowd on 23 May 2016 when Malaysian Menopause Society conducted a medical talk there. The talk on menopause by Dr Ho Choon Moy had the ladies in stitches as she showed them how menopause affected different aspects of a woman’s life. The all-female non-profit society that aimed at enhancing public-speaking skills among working women were all ears throughout Dr Ho’s talk for a good reason – many were already approaching menopause or already menopausal but had little access to detailed medical information related to the female body. Click the image above to view the Photo Gallery.